Can I Get a WOW, a WTF and a REALLY??? It's amazing what one can happen upon on the internet. This little gem is just priceless. I am not certain what to think. Why does society put dogs on such a higher level than any other animals? We consider them human when they should be considered what they are: the property of the owner. When a dog does its business on another person's lawn, the person doesn't yell at the dog, they yell at the owner. An owner gets to decide what they do with their property and if Vick chooses to fight his dogs, then so be it. That's the problem: our culture sympathizes with dogs more than it does humans. Vick lost almost two years of his life and money I could only wish to make because of the lives of eight dogs. Think about it. Two years. $20 million. Eight dogs. At the end of the day, Vick is a really hard guy to defend because the rest of society is against him. No one cares about how small of a deal this really is. When you step back and look at the big picture they are just dogs. Read his article in its entirety here. What is really disturbing is that this is not a blog post. This crap went by an editor and was actually published! Posted in In the News, Observations & Reflection on October 15, 2008 by Lara. Wow, unreal! I love when people decide to have the ‘it’s just a dog’ debate. Is it just a dog when medical studies prove that a person’s health is positively affected when having one? Is it just a dog when a young child traumatized by past abuse and neglect opens up to a dog before any human, thus allowing the therapeutic process to start? Is it just a dog when one of the highlights of your day is to return home and get the most excited greeting that you could ever get? If it is still just a dog in all of those scenarios, that is fine, but then I stop questioning your rational for such a statement and question your ability to experience empathy and compassion. Here’s my letter to the editor. Kellie, you should email your comments too! Matt Weber’s article “They Are Just Dogs” published on 10/10/08 was incredibly disturbing, and I cannot believe it was allowed to go to press. To insinuate that torturing animals by forcing dogs to fight each other is acceptable is wrong on so many levels! Would you like to be forced into a knife fight with another man, then left to nurse your own stab wounds after the fight was over, or possibly just drowned because you lost? That is what Vick did to those dogs, and it was cruel and inhumane. The fact that Mr. Weber could characterize it any differently makes me question his character. I wonder if you or Weber are aware that animal abuse is very closely correlated with committing violent crimes and domestic abuse? The line separating an animal abuser from someone capable of committing human abuse is much finer than most people care to consider. People abuse animals for the same reasons they abuse people. Some of them will stop with animals, but enough have been proven to continue on to commit violent crimes to people that it’s worth paying attention to. I’d love for Mr. Weber to explore this link and then write an article defending his position that animals are just possessions and people should be able to do with them as they please. Does Weber feel that way about girlfriends/wives and children too? And Mr. Weber’s mention of “placing dogs on a pedestal” is completely out of place in this article, considering the dogs in this case were not “cute little dogs” as Weber refers to them, but rather pit bulls, a breed that many in society believe should be banned or destroyed. 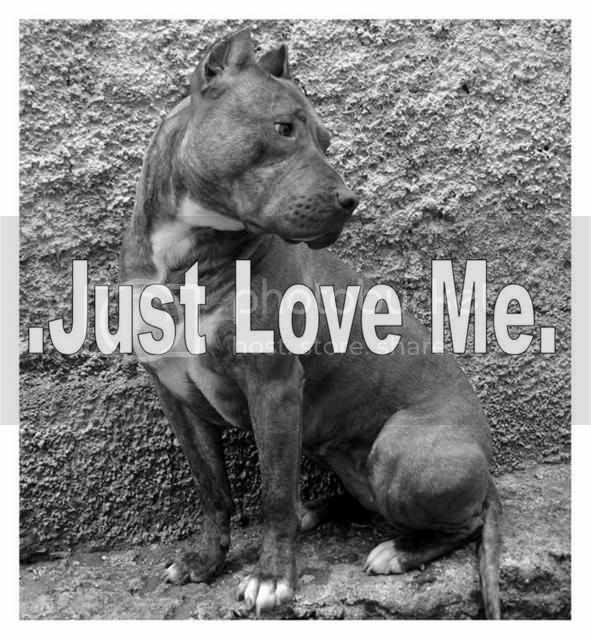 The majority of people do not instinctively empathize with the plight of the pit bull. Rather, in Vick’s case, they recognized that a man capable of committing such disgusting acts oftorture and violence against living things should be removed from society. Anyone involved in the publishing of this article should be ashamed of themselves for trying to downplay the crimes that Vick, other dog fighters, animal abusers and human abusers commit. kick a** response Sara, I’m glad you sent this on, hopefully the editor will take a second look at what he let be published.